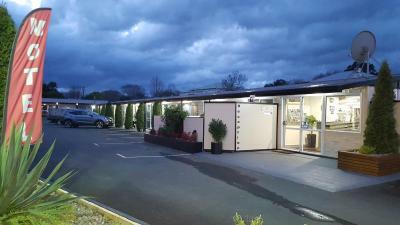 Lock in a great price for Amble Inn Motel – rated 9 by recent guests! Everything. All clean and tidy.would use it anytime we were staying in Masterton. Good location and spacious. 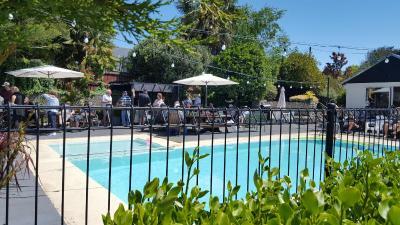 Friendly staff and good outdoor swimming pool facilities. The owner's we very pleasant and obliging. We decided to stay for another night. It was lovely to have wonderful friendly service in a country that is not that great on customer service. The rooms were modern and clean. Thank you, Amble Inn Motel. Excellent location. Great swimming pool. Nice vibe. Location was good and no noise traffic that affected us. Friendliness of owner. The room was large. We had a table and chairs. The staff was very helpful. 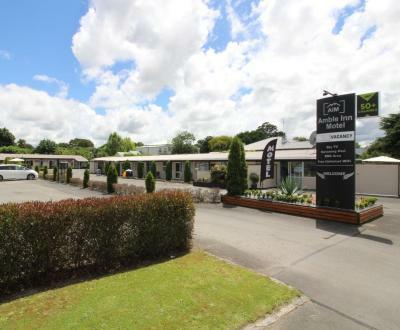 Amble Inn Motel This rating is a reflection of how the property compares to the industry standard when it comes to price, facilities and services available. It's based on a self-evaluation by the property. Use this rating to help choose your stay! 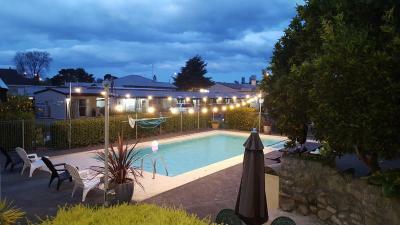 Featuring free Wi-Fi, an outdoor swimming pool and free on-site parking, Amble Inn Motel is within 5 minutes’ walk of shops, restaurants and bus stops. All accommodations features cooking facilities and satellite TV. Masterton Amble Inn Motor Inn is 7 minutes’ drive from the Lansdowne Golf Course. Wellington is 90 minutes’ drive away. Accommodations options include studios and apartments. 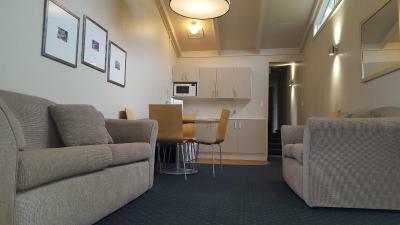 All feature a 32-inch flat-screen TV, microwave, desk, heating, tea/coffee making facilities and kitchenware. 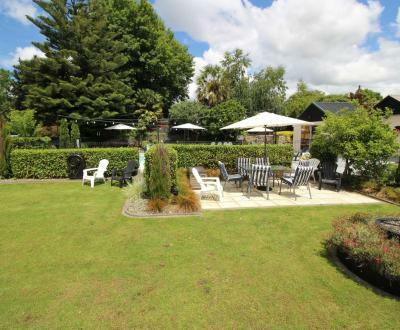 You can relax in the lovely gardens and enjoy an outdoor BBQ. When would you like to stay at Amble Inn Motel? This studio features a kitchenette, a dining setting and a flat-screen TV with satellite channels. Maximum occupancy is 2 (see Hotel Policies). This studio features a kitchenette, a dining setting and a work desk. There is a lounge chair and a flat-screen TV with satellite channels. It includes an private bathroom with a shower. This spacious apartment features a fully equipped kitchen, a dining setting and an private bathroom. The lounge area offers a 3-seater sofa, a desk and a flat-screen TV with satellite channels. Please note that the price is based on 3 guests. Maximum occupancy is 4 (see Hotel Policies). Located away from the street, this spacious apartment features a private patio opening onto the garden. It offers a fully equipped kitchen, a dining setting and an private bathroom. The lounge area offers a 2 sofas. Please note that the price is based on 3 guests. Maximum occupancy is 5 (see Hotel Policies). A contemporary Large Studio unit with sleeping, dining, living all in the same area. 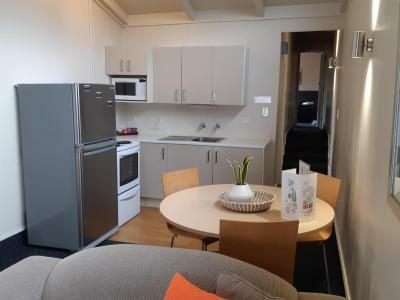 This unit includes cooking facilities and an extra single bed. Private bathroom including a shower, vanity and toilet. House Rules Amble Inn Motel takes special requests – add in the next step! All children under 6 years are charged NZD 20 per night for extra beds. 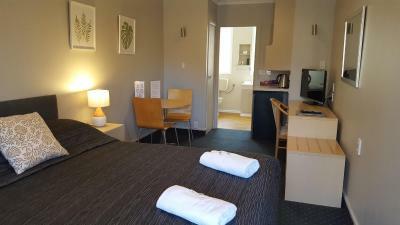 Any additional older children or adults are charged NZD 20 per night for extra beds. Debit card Amble Inn Motel accepts these cards and reserves the right to temporarily hold an amount prior to arrival. Amble Inn Motel accepts these cards and reserves the right to temporarily hold an amount prior to arrival. Please inform Amble Inn Motel of your expected arrival time in advance. You can use the Special Requests box when booking, or contact the property directly using the contact details in your confirmation. Expensive for what it was. I know it is design but having the bathroom off the bedroom for others to walk through to use. The bumps under the carpet were disconcerting. Nothing - Everything suited us perfectly. 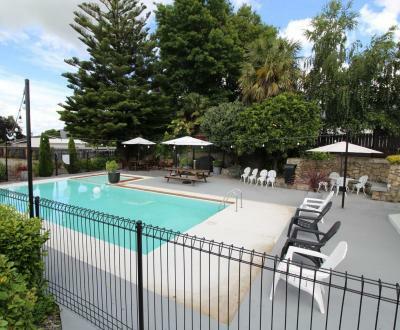 Excellent location for visiting Masterton attractions. 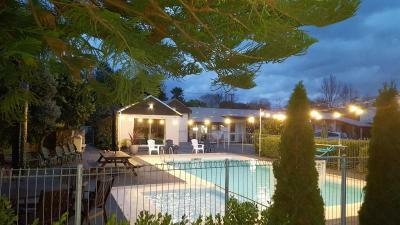 Walking distance to good restaurants and supermarket. Hosts very friendly and helpful. Excellent laundry facilities. Plenty of parking. Felt very safe and comfortable. I was so impressed with the Motel the cleanliness and value for money. The owners were so pleasant and helpful. 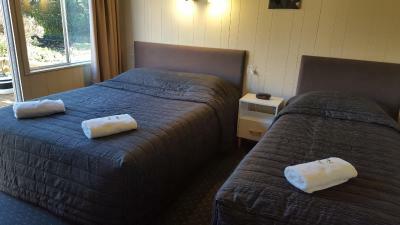 Room was very clean & tidy and the beds were extremely comfortable. Location was superb for our needs.